Ever since L. Lonnie Peralta was a kid growing up in the suburbs of Los Angeles during the late 70’s, the entertainment and film industry has been part of his life. His hometown was not only close to most major studios but filmmaking has always been most significant in his daily routine. His father Lou Peralta is an accomplished actor on a handful of movies, television series, working in front and behind the camera as editor, distributor, filmmaker, as well as a musician who played with the likes of Elvis Presley and many other notables. Film and film-making was always central in his family circles. Moreover, close-knit family members, also heavily connected to the industry as producers, cinematographers, grips and locations managers, to name a few, have had their influence. As a result, you would think that a film career would be his obvious and eventual path. Yes, but not at first. While growing up, all Lonnie could think about was skateboarding and riding his motorcycle at every opportunity. After years of intense competition in both skateboarding and motocross, Lonnie earned many trophies and achievements as well as an assortment of bodily injuries. Subsequent to all the years of physical abuse, while healing, he decided to revisit his first love: photography. When he was about 10 years old, he borrowed his Dad’s Canon 35mm still camera and shot everything that fancied him; from skateboarding, motocross and watercraft racing to portraits and still life. He loved the freedom and creativity achieved through the lens of the camera. 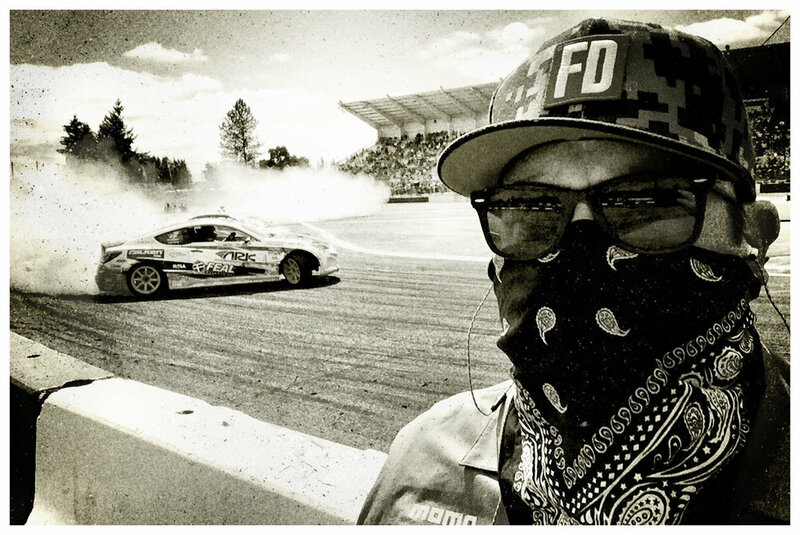 Before long, while showing off some of his work, he began receiving freelance jobs from “alternative” sports publications across the county such as Thrasher Magazine, Skateboarder, Dirt Bike, On-Dirt Motor Sports Magazine, RC News, Motocross Action, Watercraft Action, Splash and Dirt Wheels to name a few. Soon he had found a niche and was making a living off photography at a very early age. Editors not only saw the proficiency of his still photos but they could also see the story behind the picture, almost as if each frame was a piece of film. Encouraged my many in the industry, Lonnie began to redirect his interests into motion picture film-making. He took film classes, studied books and sunk his teeth into truly learning the craft. His idea of using motion picture cameras to capture the true spirit and beauty of all things is what he longed for. Soon, he began working in Hollywood as a production assistant, grip, camera assistant, assistant director and eventually camera operator, DP and Director —anything that would get him close to the action. At that point, Lonnie teamed up with Eric Donaldson, a childhood friend who was also in the entertainment industry. The two decided to make their first film, which integrated the alternative sports they grew up loving. On his first directorial project, Lonnie decided to feature a few of the unusual sports he enjoyed. In particular, he wanted to expose a sport that had not attracted much attention, especially on film. Watercrafting or “Jet Skiing” (as some people call it) was a relatively new sport, which involved enthusiasts who were doing amazingly radical things. Moreover, many of these athletes lived a sort of “Rock Star” lifestyle and were the natural characters to capture in this subculture. The outcome: “All My Crazy Friends – The Movie”. After making ”All My Crazy Friends” and receiving critical acclaim with awards from various film festivals, as well as, the sheer joy and excitement that it brought to its vast audience, he knew that film-making would be the path that he would fallow for the rest of his life – he was committed. With their production company, Supercharger Films, LLC located in Venice Beach, California, Lonnie Peralta has directed and shot an extensive variety of film projects including documentaries, commercials, music videos, television, and short-films. He continues to work worldwide shooting for major networks and distributors, thus continuing to follow his passion. However, directing has always been his ultimate creative goal. Therefore, Lonnie has honed his directing skills by wearing a variety of hats in the pre-production, editing, cinematography, and as producer of many projects. At the same time as Lonnie Peralta the “Director” grows, he continues to move ahead of the curve, staying ahead of new film-making technologies, breaking into new ground and discovering creative ways to capture the true cinematic beauty of his subjects.